If we don't spot them at the airport in cozy travel outfits or cool yoga pants while heading to the gym, these celebrities are probably attending events in their best outfits. The fact that our tinsel town citizens are always on the go and still rocking some enviable garbs is not new for us here on the style desk. And recently few of them made the most of their sartorial picks by turning heads right in their direction at GQ Style And Culture Awards 2019. 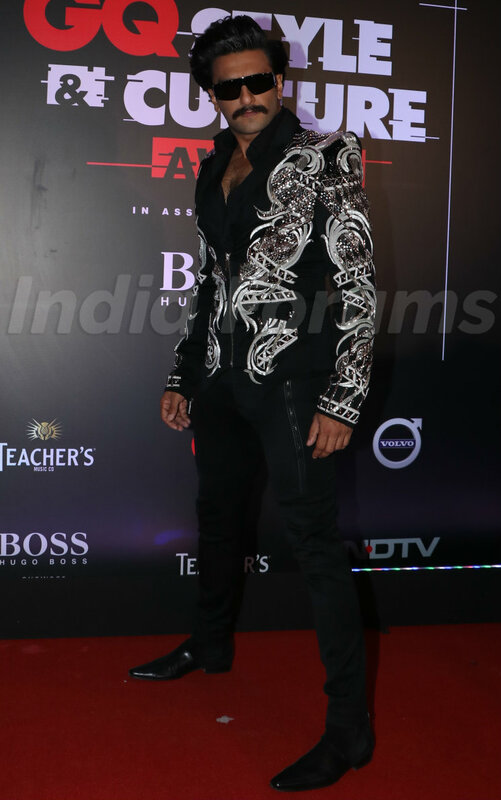 Here's how these glamazons lit up the night..
Ranveer Singh yet again made a quirky style pick, this time in an embellished Julien Macdonald suit. He accessorised his suit with sunglasses and pointy black shoes. Tapsee Pannu brought some red-hot style game to the red carpet with this textured crop top and draped skirt. She matched her OOTN with a same red lip colour. Anushka Sharma wore a geometric print Dice Kayek power suit to the carpet. She kept her look fuss free with a neatly tied back hairstyle and dewy makeup. Radhika Apte proved leather was not just for the biker jackets it is for dresses as well. She brought a casual yet edgy style game to the carpet. Nora Fatehi put her enviable curves on display in a ruched black dress. She glammed it up with a red lipstick and side-swept hair. Sameera Reddy styled her baby bump in a Burgundy colour front cut-out gown. She styled her look with a matching wine colour lipstick. Kalki Koechlin gave out retro vibes with that popping red lipstick and shoulder grazing earrings. Fatima Sana Shaikh lit up the carpet in a stone encrusted gown by Falguni And Shane Peacock. Fatima opted for side swept Hollywood curls to glam up the look. Amyra Dastura was in the mood of some power dressing. Amyra gave an edge to the look with a red lipstick and centre parted low-do.